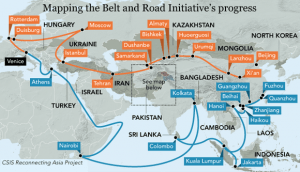 9/24: The Indo-Pacific and Regional Trends: Towards Connectivity or Conflict? The Sigur Center for Asian Studies and the Rising Powers Initiative will host an event on the Indo-Pacific to assess whether maritime and political trends in the region are advancing regional connectivity or setting the stage for greater mistrust and conflict. Experts on China, India and Japan will consider the nature of these countries’ Indo-Pacific strategies, whether these strategies are driven by economic or strategic motivations, how the Belt and Road Initiative and the Asia-Africa Growth Corridor are evolving, and implications for the role of the U.S. This event is public and open to the media. Light refreshments will be available. 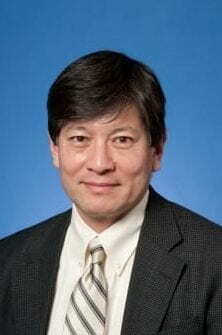 Dr. Mike Mochizuki, Associate Professor of Political Science and International Affairs, and Japan-U.S. Relations Chair in Memory of Gaston Sigur at the Elliott School of International Affairs, George Washington University; Co-Director, Memory and Reconciliation in the Asia-Pacific, Sigur Center for Asian Studies. Professor Mochizuki holds the Japan-U.S. Relations Chair in Memory of Gaston Sigur at the Elliott School of International Affairs at The George Washington University. Dr. Mochizuki was director of the Sigur Center for Asian Studies from 2001 to 2005. He co-directs the “Memory and Reconciliation in the Asia-Pacific” research and policy project of the Sigur Center. Previously, he was a Senior Fellow at the Brookings Institution. He was also Co-Director of the Center for Asia-Pacific Policy at RAND and has taught at the University of Southern California and Yale University. Dr. Robert Sutter, Professor of Practice of International Affairs; Director, B.A. Program in International Affairs, George Washington University. A Ph.D. graduate in History and East Asian Languages from Harvard University, Sutter taught full time for ten years at Georgetown University’s School of Foreign Service and part-time for thirty years at Georgetown, George Washington, Johns Hopkins Universities, or the University of Virginia. He has published 21 books, over 200 articles and several hundred government reports dealing with contemporary East Asian and Pacific countries and their relations with the United States. His most recent books are: Foreign Relations of the PRC: The Legacies and Constraints of China’s International Politics since 1949 (Rowman & Littlefield 2018); US-China Relations: Perilous Past, Uncertain Present (Rowman & Littlefield 2018); Chinese Foreign Relations: Power and Policy Since the Cold War (Rowman & Littlefield 2016); The United States and Asia; Regional Dynamics and 21st Century Relations (Rowman & Littlefield 2015). Sutter’s government career (1968-2001) focused on Asian and Pacific affairs and US foreign policy. He was the Director of the Foreign Affairs and National Defense Division of the Congressional Research Service, the National Intelligence Officer for East Asia at the US National Intelligence Council, the China Division Director at the Department of State’s Bureau of Intelligence and Research, and professional staff member of the Senate Foreign Relations Committee. 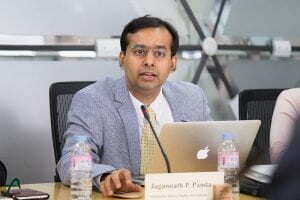 Dr. Jagannath Panda, Research Fellow and Coordinator of the East Asia Centre at the Institute for Defence Studies and Analyses, New Delhi. Dr. Panda is primarily based out of New Delhi where he holds the position of Research Fellow and Centre Head for East Asia at the Institute for Defence Studies and Analyses (ISDA) where he is in charge of the East Asia Centre’s academic and administrative activities. 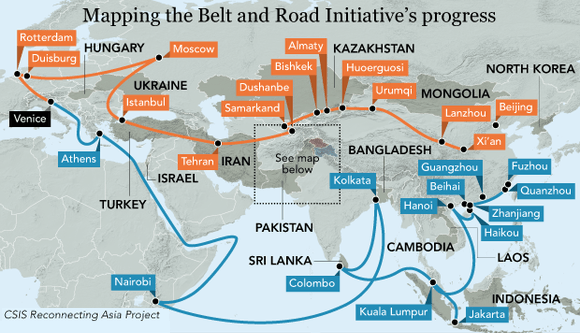 These include Track-II and Track 1.5 dialogues with the Chinese, Japanese and Korean think-tanks and institutes. He is a recipient of V. K. Krishna Menon Memorial Gold Medal (2000) from the Indian Society of International Law & Diplomacy in New Delhi. He is the author of India-China Relations: Politics of Resources, Identity and Authority in a Multipolar World Order (Routledge: 2016) and a Member of the Editorial Board of the Journal of Asian Public Policy (Routledge). He is also affiliated (honorary) to the Institute of Transnational Studies (ITS), Germany/Italy. Dr. Panda is the first South Asian scholar to receive the prestigious East Asia Institute (EAI) fellowship. He has also received a number of prestigious fellowships such as the STINT Asia Fellowship from Sweden, Carole Weinstein Fellowship from the University of Richmond, Virginia, USA; National Science Council (NSC) Visiting Professorship from Taiwan; Visiting Scholar (2012) at University of Illinois (Urbana-Champaign), USA and Visiting Fellowship from Shanghai Institute of International Studies (SIIS) in Shanghai, China. He has been invited as lead speaker to talks, seminars, conferences and symposiums and have also chaired prominent events. Dr. Panda has published in leading peer-reviewed journals like Journal of Asian Public Policy (Routledge), Journal of Asian and African Studies (Sage), Asian Perspective (Lynne Reiner), Journal of Contemporary China (Routledge), Georgetown Journal of Asian Affairs (Georgetown), Strategic Analyses (Routledge), China Report (Sage), Indian Foreign Affairs Journal (MD Publication), Portuguese Journal of International Affairs (Euro Press) etc. Moderator: Dr. Deepa M. Ollapally, Director of the Rising Powers Initiative and Research Professor of International Affairs, George Washington University. Deepa Ollapally is directing a major research project on power and identity and the worldviews of rising and aspiring powers in Asia and Eurasia. Her research focuses on domestic foreign policy debates in India and its implications for regional security and global leadership of the U.S. Dr. Ollapally has received major grants from the Carnegie Corporation, MacArthur Foundation, Ford Foundation, the Rockefeller Foundation and the Asia Foundation for projects related to India and Asia. She is a frequent commentator in the media, including appearances on CNN, BBC, CBS, Reuters TV and the Diane Rehm Show.